Route type: A demanding route recommended for experienced cyclists. You get to the highest point on Sithonia at 811 meters – Mount Itamos. Overview: Starting in Neos Marmaras, you ride uphill on an asphalt road to the village of Parthenonas. After the village, the road turns to gravel as you climb through olive groves, pine forests, and rock formations. On the summit is a watch tower for forest fires which you can climb to get a panorama over all of Halkidiki. How do you get down? Just coast all the way to the beach! 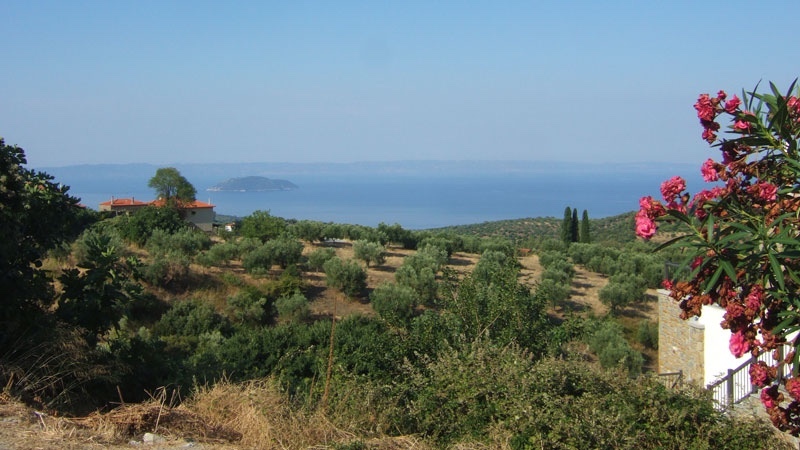 A detailed description with a map is found on page 50 of the Halkidiki Bike Guide, see below.